Insurance coverage for more than 400,000 Texas children and pregnant women is in jeopardy after Congress failed to renew authorization for the Children's Health Insurance Program. Insurance coverage for more than 400,000 Texas children and pregnant women is in jeopardy after Congress failed to renew authorization for a federal program. Congressional authorization for the Children's Health Insurance Program, which provides low-cost health insurance for children from low- and middle-income families, expired Sept. 30. "States don't want to have to disenroll their kids," said Maureen Hensley-Quinn, senior program director at the National Academy for State Health Policy, a non-partisan group that advises states on health policy. But "there may come a time when [they] have to send families letters" letting them go. The program, created in 1997 and adopted in Texas in 1999, has cut the percentage of uninsured children nationwide from 15 percent in 1997 to 5 percent in 2015. It also offers prenatal care to about 36,000 pregnant women in Texas. About 394,000 Texan children ineligible for Medicaid are covered under CHIP, and another 249,000 Texan children on Medicaid benefit from CHIP’s 92 percent matching rate. 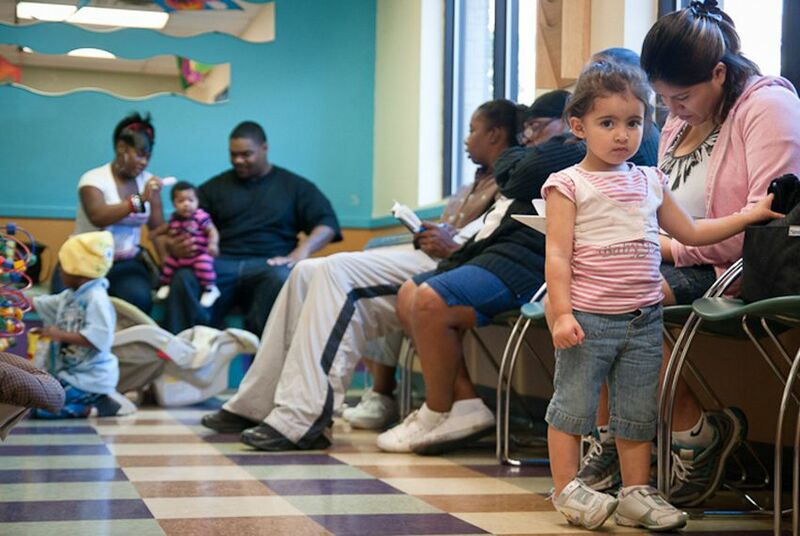 Together, Medicaid and CHIP cover about 45 percent of all children in the state. Congress last renewed the program's approval in 2015 to last until the end of the 2017 fiscal year, which ended Sept. 30. Members of Congress had discussed voting to renew the program but did not do so in time for the new fiscal year. Why the program lapsed remains unclear outside of House GOP leadership. Even rank-and-file Republicans were unsure of why, a GOP Congressional aide told the Tribune. Garcia said coverage remains available so long as people keep up with their renewals and funding for the program is found. Renewal dates for families in counties affected by Hurricane Harvey have been pushed back by 6 months, she said. Disclosure: The Texas Association of Community Health Centers has been a financial supporter of The Texas Tribune. A complete list of Tribune donors and sponsors is available here. Correction: A previous version of this story incorrectly reported the number of children who don't qualify for Medicaid and receive CHIP benefits. That number is 394,000. The story also incorrectly stated the percentage of uninsured children nationwide in 1997. That number was 15 percent.